The following organizations are partners of or endorsed by the American Women's Club of Hamburg. Clicking these links will take you to a new web site. 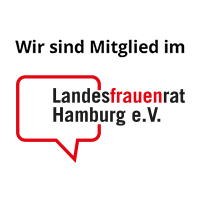 The American Women's Club of Hamburg is not responsible for the contents of these external websites. "Your guide in English to films showing in Germany." Many AWCH members contribute to this extensive film review site. The Hamburg Players present theater pieces in English. The University Players present theater pieces in English. The American Women's Association of Vienna is a FAWCO member organization located in Vienna, Austria. They are part of FAWCO Region 5, the same region the AWCH belongs to. The American Women's Club of the Taunus is a FAWCO member organization in Frankfurt, Germany. They are part of FAWCO Region 5, the same region the AWCH belongs to. The American Women's Association of Duesseldorf is another member organization in FAWCO Region 5, the same region the AWCH belongs to. The American Women's Club of Cologne is a FAWCO member organization in Cologne, Germany. They are part of FAWCO Region 5, the same region the AWCH belongs to. The American Women's Club of Berlin is a FAWCO member organization in Berlin, Germany. They are part of FAWCO Region 5, the same region the AWCH belongs to. Expatclic.com is an international and multilingual website run entirely by a team of expatriates. Main goal of the website is to assist women from all countries and nationalities in the daily management of their expat lives as well as to facilitate their move and relocation in a new foreign country (when not in their own country of origin). An English-language theater in Hamburg. From their website: "We provide native-speaking actors and directors resident in Hamburg an opportunity to work professionally in their native language and to introduce the German public to significant contemporary playwrights writing in English."